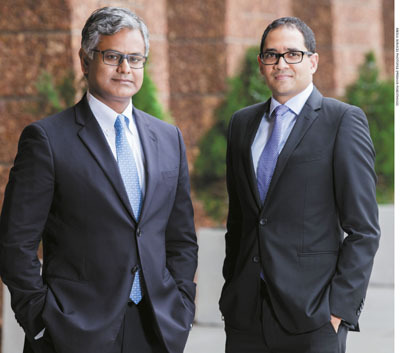 In November last year, Sri Lanka’s leading listed company John Keells Holdings (JKH) announced the appointment of Krishan Balendra and Gihan Cooray to its board of directors. 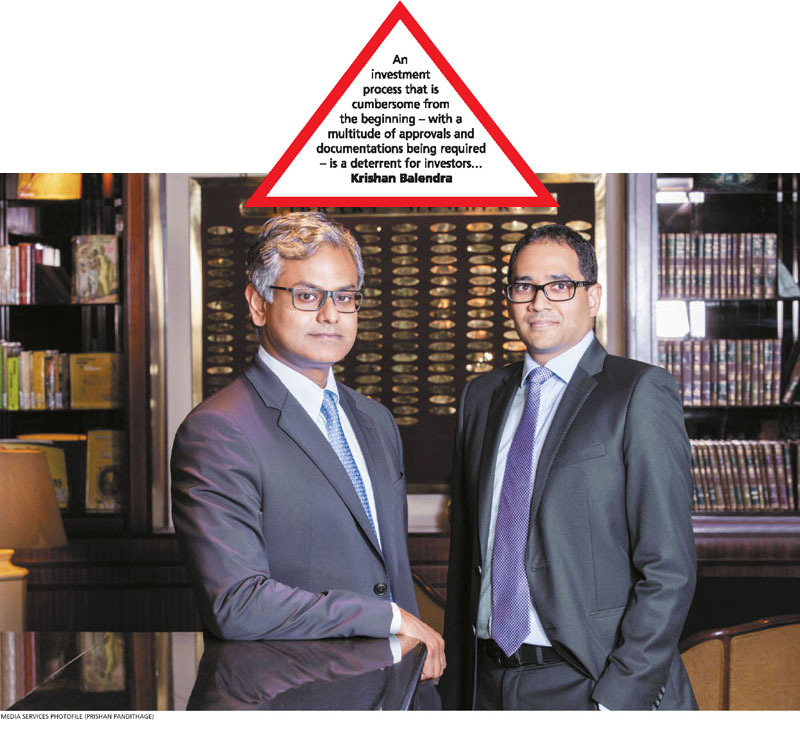 The move was in line with the group’s succession plans in the light of forthcoming retirements in its hierarchy in the next 12 to 24 months, and JKH’s efforts to develop a pool of young and talented individuals to whom the baton of executive leadership could be handed over. Balendra is currently the President of JKH’s Leisure Industry Group and also Chairman of Nations Trust Bank. He was previously the President of the Retail Sector in the Consumer Foods and Retail Industry Group. 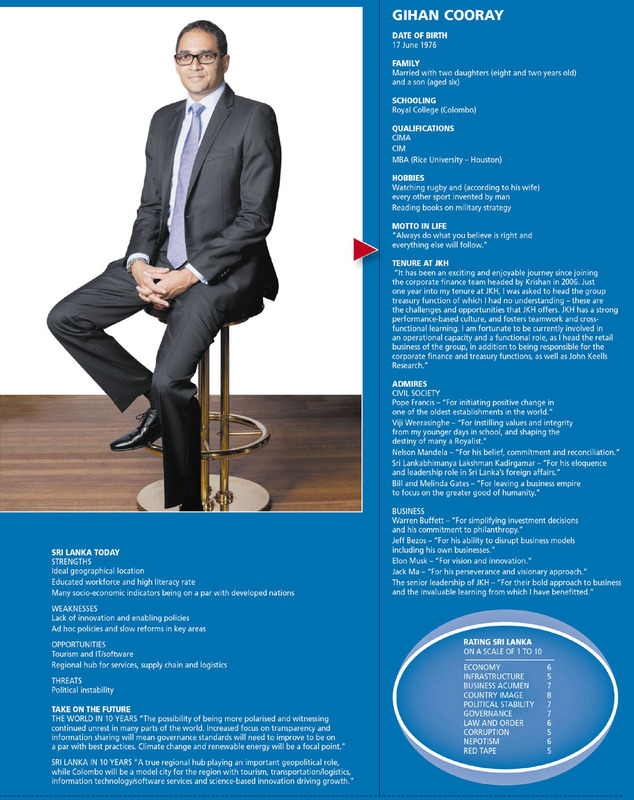 He joined JKH in 2002 as the Head of Corporate Finance and Strategy, following stints at UBS Warburg (Hong Kong) in investment banking and Aitken Spence. A former chairman of the Colombo Stock Exchange, Balendra holds a law degree (LLB) from the University of London and an MBA from INSEAD. He is also the Honorary Consul General of the Republic of Poland in Sri Lanka, in addition to being a member of the Main Committee of the Ceylon Chamber of Commerce. Cooray is the President of the group’s Retail Sector. He is also responsible for the Corporate Finance and Strategy and Group Treasury functions, and John Keells Research. Moreover, he is a non-executive director of Nations Trust Bank. Cooray holds an MBA from the Jesse H. Jones Graduate School of Business at Rice University, Houston. He is also an associate member of the Chartered Institute of Management Accountants (CIMA) UK and a certified management accountant of the Institute of Certified Management Accountants (Australia), as well as holding a Diploma in Marketing from the Chartered Institute of Marketing (CIM) UK. Additionally, he has been a member of the sub-committee on Economic, Fiscal and Policy Planning of the Ceylon Chamber of Commerce. In this exclusive interview with LMD, Balendra and Cooray share insights on key areas of concern for Sri Lanka’s corporates, the nation’s human capital challenges, opportunities in the ‘silver economy’ and the state of business globally, as well as their philosophy on harnessing the skills of Gen Y and beyond. 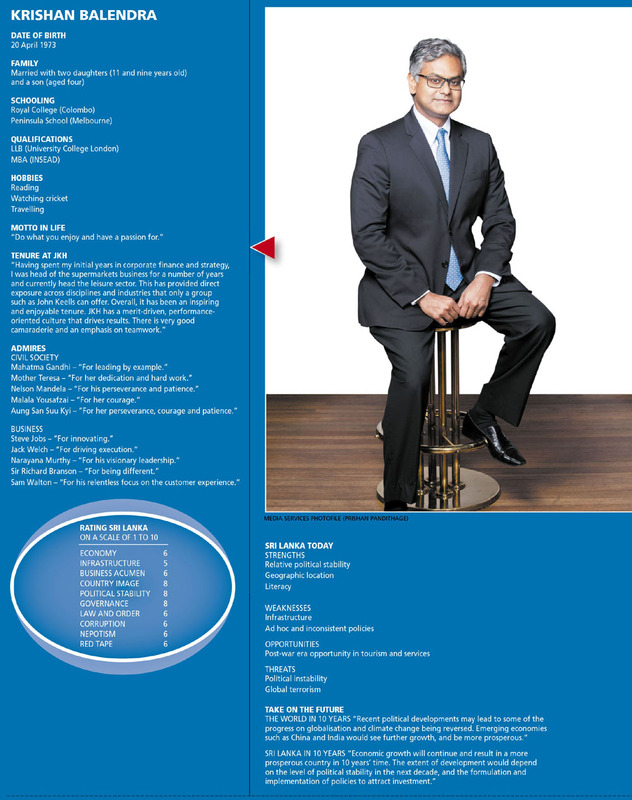 JKH helmed the recent 2015/16 edition of Sri Lanka’s version of the Fortune 500 – the LMD 100. The time is right to find out how its next generation of executive leadership views the world of business, especially here in Sri Lanka. Krishan Balendra’s take on Sri Lanka in 10 years’ time: “Economic growth will continue and result in a more prosperous country… The extent of development would depend on the level of political stability in the next decade, and the formulation and implementation of policies to attract investment.” In today’s context, he believes that political stability in Sri Lanka is key. Balendra adds that global terrorism could be a major threat to Sri Lanka’s advancement. 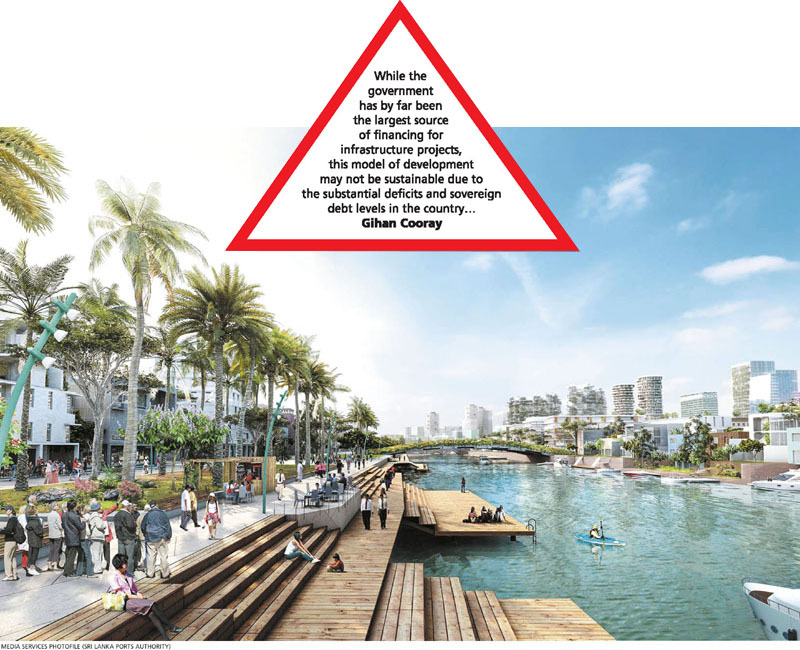 “A true regional hub playing an important geopolitical role, while Colombo will be a model city for the region with tourism, transportation/logistics, information technology/software services and science-based innovation driving growth,” says Gihan Cooray. And like his colleague, Gihan views political stability in Sri Lanka as being vital. As for the duo’s personal backgrounds, both studied at Royal. Both rate Sri Lanka’s economy at six out of a maximum 10 points. And they’re both married and have three children – two daughters and a son each! Q: How do you view Sri Lanka’s business landscape at the dawn of 2017? Krishan Balendra (KB): The current business landscape presents tremendous opportunities to capitalise on interests from offshore. The government’s emphasis on greater fiscal consolidation – as well as the encouragement of private sector investment – is a promising foundation to promote such investor sentiment. Our country’s growing middle class and rising prosperity augurs well for consumer-focussed businesses. The present emphasis on urban development, where large-scale projects such as the Megapolis and Colombo International Financial City developments will be drivers of medium-term growth while leveraging on Sri Lanka’s strategic position for tourism and logistics-related industries, would be key for long-term growth. Q: In a nutshell and as far as the private sector is concerned, what are the pros and cons of Budget 2017? For example, how do businesspeople like yourself view the increase in Corporate Tax, the Financial Transaction Levy, the forthcoming imposition of Capital Gains Tax, and new levies on telecom and internet services? Gihan Cooray (GC): Sri Lanka has one of the lowest tax-GDP ratios in the world. The government has articulated its intention to improve revenue collection, which has been further augmented by the conditions imposed by the International Monetary Fund (IMF) Extended Fund Facility (EFF). So we understand and support the need to increase taxes but equal prominence must be given to improving the efficiencies of tax collection and widening the tax net. There must be a clear identification of the economy’s key thrust areas that are aligned with the country’s overall development strategy. These areas should have a consistent tax policy implementation procedure established in consultation with the relevant stakeholders for each of the respective sectors to further improve the overall alignment of development objectives. Consistency and a level playing field are cornerstones in encouraging private sector investment. Moreover, with higher taxes, there must also be sustained fiscal discipline so that a lower budget deficit translates into stronger macro fundamentals, which will encourage greater investment. Q: In your opinion, should the business community be invited to play a more prominent role in the formulation of fiscal and economic policy? GC: The business community currently has a fair amount of interaction through the different chambers of commerce. The critical factor in private-sector engagement in the formulation of fiscal and economic policy is the bandwidth of the government through which processes and procedures are enacted to ensure that the feedback arising from such engagement is addressed. Efficient implementation will require the government to prioritise development objectives. Q: How important are policy stability and consistency in the context of local business as well as attracting foreign investors? And would we be right in saying that much more must be done in this regard, if we’re to entice high-quality foreign investment? Furthermore, what can and must be done to draw higher levels of sustainable foreign investment into the country? KB: Investor confidence is highly dependent on policy stability and consistency. Sri Lanka has the unique advantage of its strategic geographical positioning within the region, and its multitude of tourist offerings covering both heritage and adventure. To attract investors, the country requires improvement in its physical and digital infrastructure, simpler tax structures and effective image building, among others. Currently, urgent infrastructure requirements include a new terminal at Bandaranaike International Airport (BIA) and the Colombo-Kandy expressway. As part of Sri Lanka’s strategy to attract high-quality foreign investment, we must identify areas in which we want to see a marked development in foreign direct investments (FDIs). While creating a one-stop shop for Sri Lanka is the ultimate objective, there are many practical issues that need to be addressed through the consolidation and facilitation of support frameworks in the interim. An investment process that is cumbersome from the beginning – with a multitude of approvals and documentations being required – is a deterrent for investors. The process of sourcing land for projects, which is one of the preliminary steps for most investments, can be considered an example in this regard. Q: Have initiatives for a broad-based local investor network been successful – and what further steps should be taken, in your opinion? GC: We see an increase in the emphasis that is being placed on initiatives to broaden the local investor network. Options for further improvement in this sphere could include greater opportunities being created through incubator initiatives to support start-ups and technologically skewed businesses. Moreover, there’s a need for frameworks to increase engagement with tertiary education institutes that enable the productive harnessing of innovative talent. At JKH, we took steps to initiate such programmes with the launch of John Keells X: Open Innovation Challenge last year. This challenge was open to any individual or team that wished to present world-class disruptive, innovative ideas. Among other benefits, the initiative provided access to insights from industry experts and an opportunity to receive extended support for innovative projects from JKH. Q: How are global developments like Brexit and the outcome of the US presidential election likely to impact the world economy and Sri Lanka? KB: Globally, we are seeing much volatility and uncertainty with core fundamental principles and views being challenged. For example, the terror bombings in France and resultant travel advisories have created unforeseen instability in markets. With such developments, Sri Lanka is not immune to economic volatilities. Brexit was one such volatile event. As the European Union (EU) and UK are major trade partners, Sri Lanka’s primary exports to the region are likely to face some pressure in the short to mid-term while competitive pressures are likely to heighten due to currency depreciation. There may be further delays in negotiating trade agreements such as the GSP+ concessions facility that was expected to be regained by the end of 2016. Q: Is brain drain a continuing threat to the Sri Lankan economy? If so, how can it be reversed or curtailed? GC: We’ve seen the trend of brain drain reversing to a certain extent in post-war Sri Lanka. Initiatives to progressively curtail brain drain include building a strong and vibrant private sector that offers diverse and innovative challenges. In addition, rejuvenating the tertiary education system with skills that match the present-day requirements of businesses will also be key to retaining talent within the country. Q: Could you describe the role of the new-age CEO? KB: The fundamental qualities that make a great CEO remain the same today. Over and above this, it has now become essential that one stays abreast of the trends of novel and disruptive business models, and embraces business agility. The ability to cut through the considerable availability of information has become critical to retain one’s competitive edge. Balancing the ‘people’ aspect through which one would engage with new-age employees is also a key attribute. But the challenge is to provide employees the freedom to express themselves while managing their expectations within a framework of governance. Q: How do you view the potential of Generations Y and Z? GC: Adapting to the needs of Gen Y and Z is a growing priority for many employers today because they represent the next generation of talent. Easier access to more information, resources and people has created an increasingly entrepreneurial society. While there is strong emphasis placed on being challenged, they also want work-life balance without a rigid workplace structure. The private sector will be challenged to create opportunities through which younger workers will strive to be visible to leadership, and offer them responsibilities that expand their skill sets and knowledge reserves to complement their entry-level duties. On the other hand, one should be mindful that Gen Y and Z also represent the future customer pool. Their priorities and spending behaviours will be different. So businesses will also need to stay abreast of evolving consumer trends to retain their competitive edge. Q: Is there adequate focus on innovation among local enterprises so that they could rival their regional and even global counterparts – meaning, where do we stand on the competitiveness ladder? GC: In recent times, Sri Lankan corporates have taken the initiative to encourage a culture of innovation. JKH has always been conscious of driving innovation and embedding this in its business DNA. With that mindset, we have established our own research-focussed arm – John Keells Research. While we acknowledge that there has been an increased focus to promote an innovative culture at the policy level – such as establishing bodies like the Coordinating Secretariat for Science, Technology and Innovation (COSTI) and Sri Lanka Institute of Nanotechnology (SLINTEC) – there is significant room for improvement. A specific area that must be addressed is the efficiency of implementing frameworks and legislation that encourage innovation. Policy should encourage true innovation; not merely successful results. For example, if you consider the triple-tax deduction proposal, we see a gap between policy intent and implementation. The intent to encourage innovation has resulted in such tax proposals but the supporting framework only benefits projects that are successful, thereby discouraging expenditure on innovation. To encourage true innovation, one must develop the supporting frameworks to work in conjunction with both on and offshore parties where there are barriers that need to be addressed. While regional counterparts have surpassed Sri Lanka in their innovation efforts, many Sri Lankans have been successful with innovation in offshore destinations. If the country were to address its policy implementation challenges, we could see the same happening locally. Q: How can the education sector better promote the values of innovation and entrepreneurship, as well as other requisite soft skills? KB: Creating 21st-century education is the ultimate engine of an economy – the ingenuity, agility and skills of the people are crucial to an economy’s competitiveness. Every aspect of the education system must be aligned to provide new generations with the skill sets they need to compete effectively. Q: And at the other end of the spectrum, given Sri Lanka’s ageing population, how can the nation make the most of the ‘silver economy’? Would you agree that healthcare warrants more attention in the light of this unfolding scenario – and if so, what steps need to be taken? KB: While an ageing population is a challenge, it also presents new market opportunities. Elderly people will need new products and services that will open up new markets that could contribute to stimulating industry in the region. Innovative disciplines such as the nanosciences, biotechnology, robotics and artificial intelligence will be key in this area. Given that our regional counterparts are already engaged in the devising of such material and processes, this is an area on which Sri Lanka can expand while harnessing a culture of innovation. Q: What do you expect the key thrust sectors of the Sri Lankan economy to be in the medium term – and why? KB: We expect the key thrust sectors to be in line with overall government policies such as those in tourism, logistics and related industries that leverage on Sri Lanka’s location, and sectors which cover global value chains. Q: Is the country’s infrastructure development drive in line with the projected growth in the economy? And how would you respond to critics who say Sri Lanka cannot afford to borrow more than it has already, even if this is to develop the country’s infrastructure? GC: There were noteworthy improvements in general infrastructure and connectivity over the past few years. While the government has by far been the largest source of financing for infrastructure projects, this model of development may not be sustainable due to the substantial deficits and sovereign debt levels in the country. For new infrastructure, public-private partnerships (PPPs) are the likely way forward, given that the country can provide private investors both stability and professional transactional capability. Overall, a strategy in which the government drives policy while the private sector drives investments is a healthy growth model. We recognise that the government has expressed interest in this regard. This strategy augurs well for development due to the increase in asset productivity. While it may be a bold decision in some aspects to involve the private sector, these are key areas that need to be explored by policymakers if we’re to truly propel Sri Lanka towards accelerated economic growth. Q: Could you update us on how the mega Cinnamon Life project is progressing – including debt and equity funding, regulatory processes and your risk assessment? KB: The Cinnamon Life project is progressing well despite encountering a delay due to initial construction-related issues. The equity and debt financing requirement for the project was secured with the conclusion of the required debt financing in December 2014, and availability of cash reserves to meet equity commitments through the capital raised through the 2013 rights issue, 2015 warrants and internally generated cash. The facility that was obtained for the development of the project is the largest syndicated private-sector loan to date in Sri Lanka. While the project aims to capitalise on Sri Lanka’s entertainment offering, lifestyle activities and the regional MICE market, the challenge is that the country’s tourism offering and Colombo as a destination needs to grow. 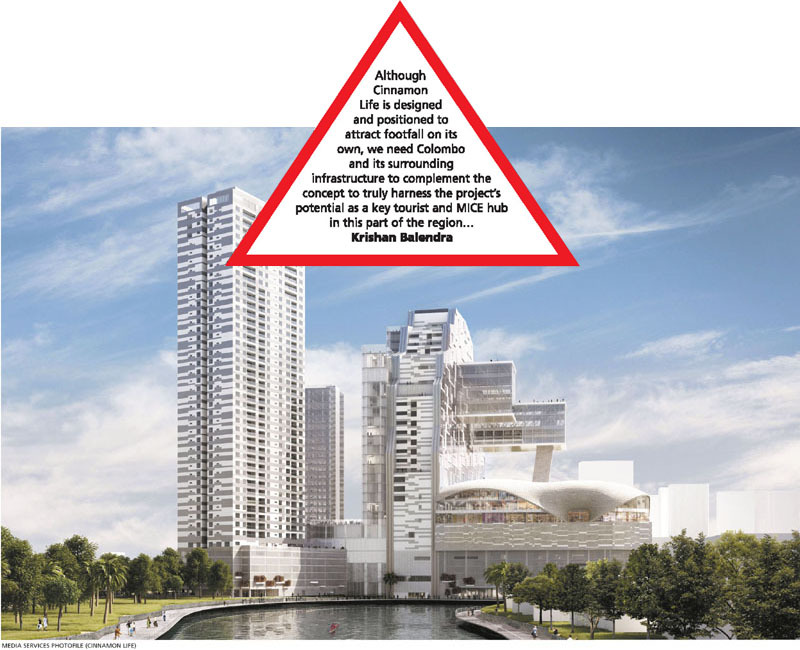 Although Cinnamon Life is designed and positioned to attract footfall on its own, we need Colombo and its surrounding infrastructure to complement the concept to truly harness the project’s potential as a key tourist and MICE hub in this part of the Asian region. Q: In the light of the renewed focus on tourism as well as the retail sector, what would it take for Sri Lanka to compete with regional rivals? And in your assessment, where should we look to as source destinations? KB: The tourism industry has witnessed consistent double-digit growth in arrivals since the end of the conflict. To sustain this level of growth, fundamental additions and improvements are required in general infrastructure and connectivity. To promote Sri Lanka as a destination, we need to improve its attractiveness within the region by emphasising its differentiations and competitiveness – the country possesses a spectrum of adventure and heritage offerings to suit most travellers. The commercial capital Colombo has attractions but needs to offer more in terms of entertainment to compete with other regional tourist destinations like Singapore. The close proximity to the very large population in India is a compelling opportunity that Colombo can capitalise on if there are more entertainment offerings. We need to research source markets to evaluate what outbound tourists are seeking – and what we as a country have to do to match these needs. Once we identify this, we can embark on a focussed and targeted marketing campaign. This will be more impactful than the more general advertising campaigns we have been conducting in various source markets. To develop the retail segment, we need a structured promotional and branding mechanism through which Sri Lanka as a destination attracts international retail brands. With the number of new malls being built in the city, there is an opportunity to develop our retail segment. Q: How do you think the next generation of business leaders views the high incidence of corruption, waste of public resources and the prevailing political landscape – in short, the state of the nation? What changes if any would you like to see in the next five to 10 years? 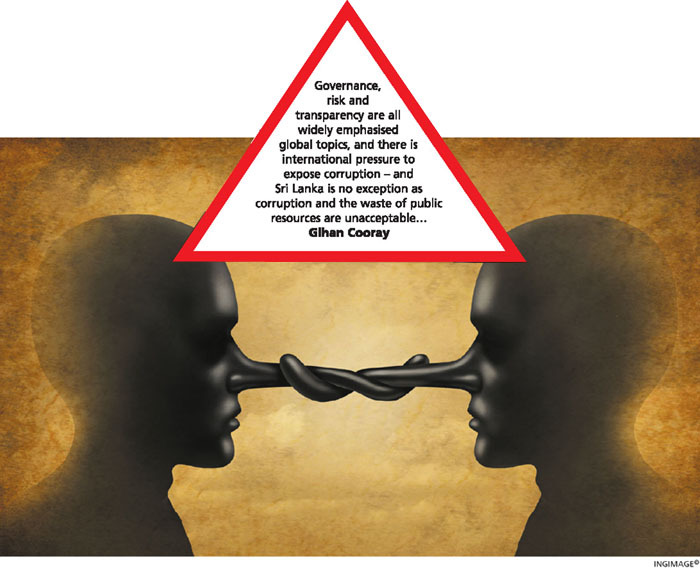 GC: Governance, risk and transparency are all widely emphasised global topics, and there is international pressure to expose corruption – and Sri Lanka is no exception as corruption and the waste of public resources are unacceptable. Compared to our counterparts, the size of Sri Lanka’s public sector is staggering. The channelling of skills to more productive roles is a win-win for both the public and private sectors – for example, we ease off on public expenditure while employees are concurrently paid higher salaries from the private sector. Given Sri Lanka’s growth trajectory and prospects, there is no lack of employment opportunities – from hotels and retail to logistics. Currently, we face challenges in sourcing the requisite skills for our expansion projects. The country needs to develop a long-term plan for growth and investment, as well as policies to achieve this and focus on implementation. For Sri Lanka to reach its desired growth levels and retain competitiveness for investment, we must be benchmarked against international best practices and standards. In terms of investments, good and effective governance is imperative. Unless Sri Lanka showcases such traits, we will not be in a position to compete with the best.